When I tell people they can make real money as a writer, I'm not talking about a mere $100 a day! But you've got to start somewhere! 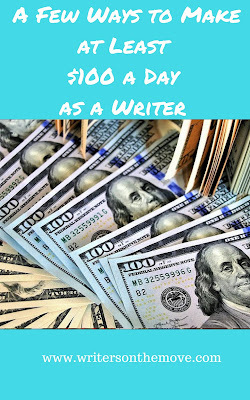 So today I'd like to list some of my favorite ways to make at least $100 a day as a writer. Once you're earning $100 a day as a writer, there'll be no stopping you! You can go on to earn the income you've always dreamed of earning as a writer. But again, the key is to just get started! Too many writers wait for something that will have them instantly earning thousands of dollars a day. But that isn't the way it usually works. Writing isn't a get-rich-quick scheme. It's a skill and a business that takes time to develop, just like any other skill and business. Okay, so here goes. Let's get started! 1. Search the online job boards and locate at least one assignment that pays $100 and that can be done quickly - in a few hours. Apply for the assignment, get it, finish it, invoice the client for it. Each morning, get up and search for assignments that pay at least $100. If you start doing this on a regular basis, after awhile you'll also stumble into some bigger, better paying gigs, too! They key is to simply get started and do this consistently - day in and day out! You'll build your confidence and your skills as you build your income! 2. Create information products and sell them online. It doesn't take many of these products to earn $100 a day. It just takes a few that sell well. An information product can be an e-book, an e-course, a special report, etc. Pick a target market and find out what they WANT to know. Then package this information so they can easily purchase it online from you. 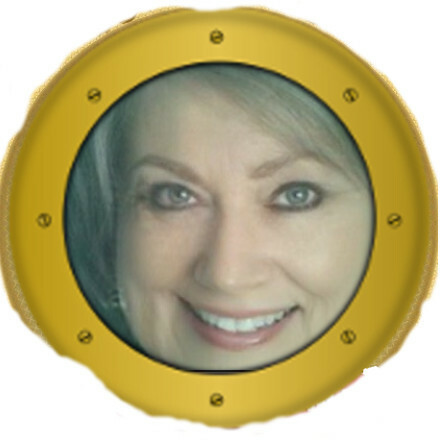 Another option would be to create information products for others - ghostwrite these products. 3. Develop a teleclass and charge for the class. If you develop weekly teleclasses, you can charge a weekly or monthly membership fee that will give you regular income. It doesn't need to be about writing. Are you an expert about traveling with kids? Do you know a lot about fishing? Do people admire the way you decorate your house without spending a fortune? Turn your expertise into cash! 4. Promote/sell affiliate products in an ezine and at a website or blog. Simply monetize your site by offering affiliate products that appeal to your target market. Many writers make big money doing this. But they learn all the "tricks of the trade" to make the big money. Still, you can make $100 a day without knowing everything there is to know about affiliate marketing. Again, just get started, and be consistent at it. Write reviews and other information about affiliate products on a regular basis. 5. Write for magazines or other publications on a regular basis. First, you need to break in with a few publications, of course. But once you do, keep submitting ideas to the editors. Even if they don't use your ideas, they may continue to hire you to write articles they need writers for. It takes a while to break in with major magazines. But, once you do, you'll earn significant money this way if you write for these publications on a regular basis. 6. Create a live workshop or course and charge for it. Do this on a regular basis to supplement your writing income. You can offer the workshop at a local coffeeshop, community center, or even a bookstore or restaurant - or, in good weather, at the park. 7. Create a product, service, or training program for businesses, then promote regularly to these businesses to make regular sales. Do a little research to determine what writing services, products, or training programs local businesses need. Then submit a proposal to a few businesses offering your services, products, or programs. Once you sell your products and services to a few of these businesses, gather some testimonials that will help you sell to other businesses. 8. Write books for publishers who need authors for upcoming titles. Many freelance writers write several books a year this way. After awhile, they have ongoing royalties from many, many books and these royalties add up to a nice income. 9. Develop a few services that you love to provide for clients, and focus on acquiring many clients for just these services. For example, if you're good at writing press releases/media releases and you enjoy this type of writing, make this your speciality and promote it big time! You can easily earn $100 for a single press release. And you can write a press release in just a few hours at the most. You'll have a thriving business if you write just a few press releases every day! You can spend the rest of each day working on your novel or something else to earn even more money! Those are just a few of my favorite ways for earning at least $100 a day. 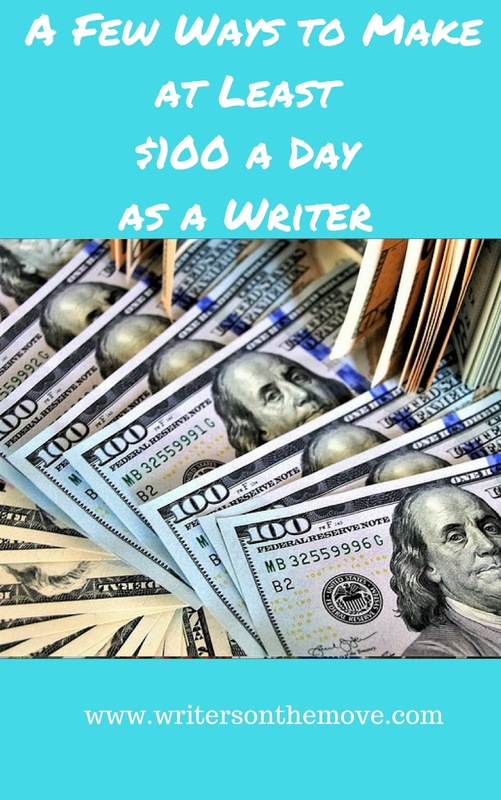 What's your favorite way to earn at least $100 a day as a writer? Share your way here in a comment. Visit her website at www.writebythesea.com for more articles and resources about writing. And, for more money making tips for writers, get your free subscription to The Morning Nudge at www.morningnudge.com. Suzanne, these are all great tips to get writer actually making money from their writing. Thanks for sharing! What online job boards do you use for assignments that pay $100 and can be finished quickly?